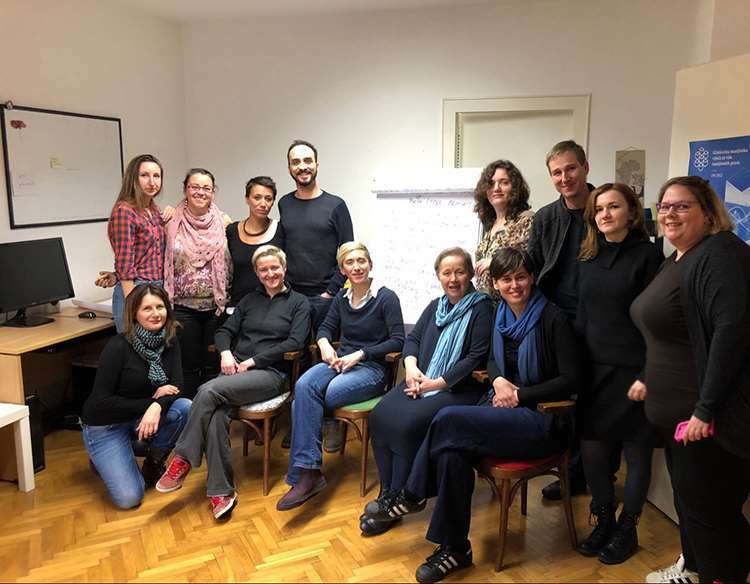 Rehabilitation centre for Stress and Trauma started new, two year project with partner organizations: Südwind from Austria, CESIE from Italy, Slovene Philanthropy from Slovenia and Centre for peace studies from Croatia. 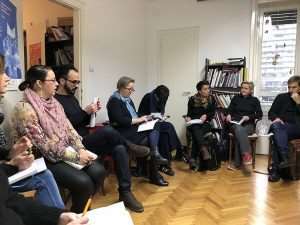 Project titled “WELCOMM: Supporting integration of third country nationals through developing learning and collaboration tools to build welcoming and inclusive communities” started on the 1 December 2017 and is funded by the European Union’s Asylum, Migration and Integration Fund. 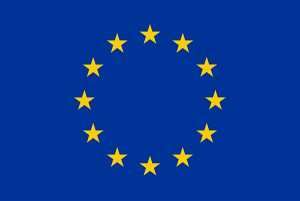 The objective of the project is to contribute to pre-departure and post-arrival integration of persons in need of international protection, relocated within the EU or resettled from a third country. 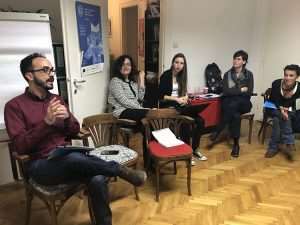 Project started with the kick-off meeting of the partnership, held in Zagreb between 9th and 11th January 2018. The first day of the meeting was dedicated to introductions of the participants and their organizations, as well as short presentations of each participant organization. Workshop on the best hopes from the project as well as from the kick-off meeting followed which revealed that all project partners and meeting participants hold high optimism and expectations both for their organizations and beneficiaries and for their own personal and professional advancement. At the end of the first day, partners were reminded of the planed project work packages, outputs and deliverables to be produced and the action plan. Second day of the kick-off was dedicated to the planning of the structure, functionalities and content of the WELCOMM web platform. One of the important issues discussed is how to maximize platform’s accessibility and usability and to make it compelling to users, both third country nationals and practitioners in the receiving societies, supporting their integration. Platform will integrate Croatian and Slovenian online language course for third country nationals as well as other information and learning content and tools, which will be developed in order to facilitate their integration in countries project partners are coming from. Participants also discussed and outlined the content of the intercultural sensitivity and competences training, which will be developed with aim to help officials, service providers, CSO activists and volunteers in the receiving communities to better support TCNs in integration but also to get support themselves in the Community of practice. Both intercultural sensitivity and competences training and Community of Practice will be integrated in the WELCOMM platform, and partners started to plan the appropriate modules and functionalities during the meeting. On the final day, technical and financial tasks, as well as individual and organizations’ responsibilities were assigned. After the final conclusions and a short evaluation based on previously expressed hopes and expectations following meetings and deadlines were confirmed. Partnership will meet next in June in Austria and in the meanwhile will work on Informational packages for TCNs and Guide through services in countries represented in this project.